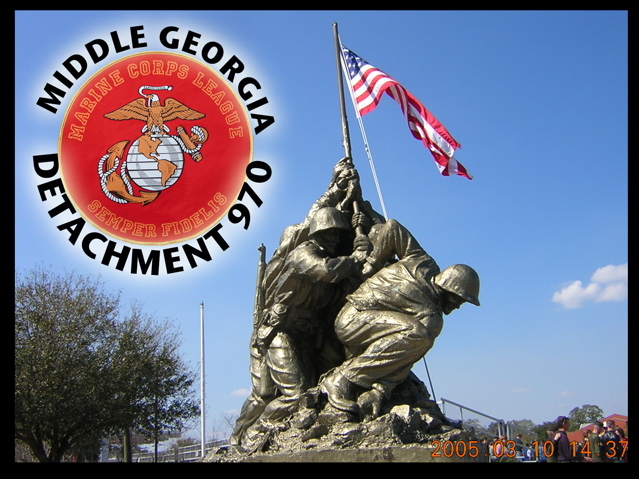 The Middle Georgia Detachment 970 is dedicated to supporting current and former Marines as well as their families and the local community. The Marines are 'First to Fight' and we at Detachment 970 pride ourselves as being 'First to Support.' We are here for those in need. We are a detachment filled with Marines and corpsmen; both young and old and full of stories. Stop by the American Legion Post 3 at 5530 Thomaston Rd, Macon, GA on the first Tuesday night of the month at 1900. You will be among friends within minutes. Copyright 2013 Middle Georgia Detachment 970, Marine Corps League. All rights reserved.